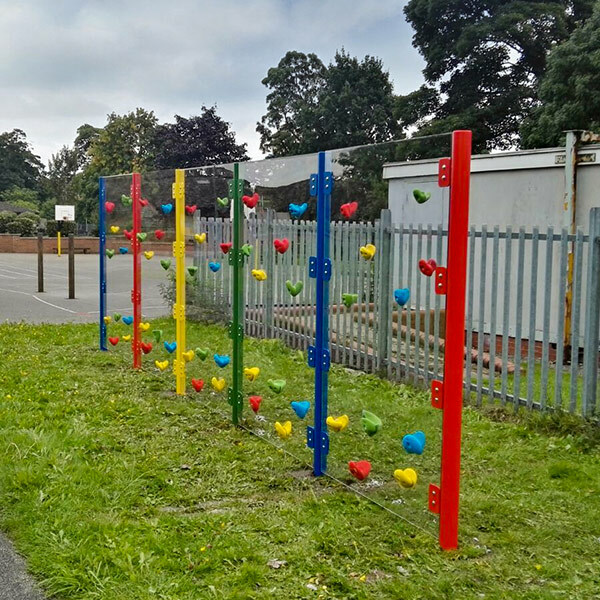 Are you planning to improve outdoor facilities for pupils? 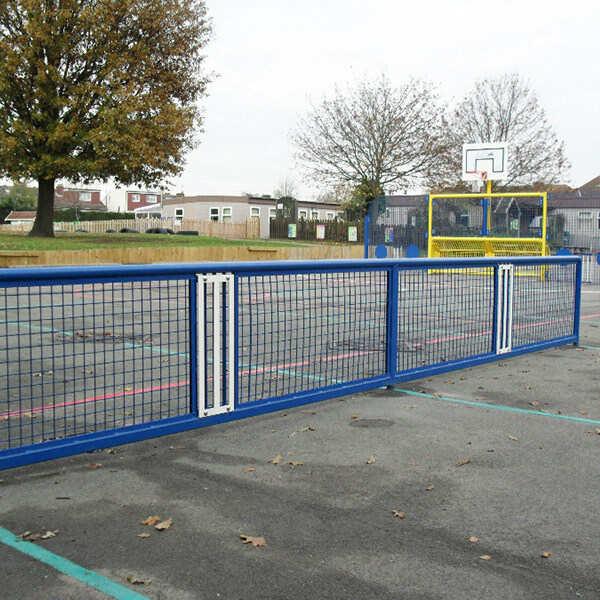 Rounded edges for safety & heavy duty steel net. 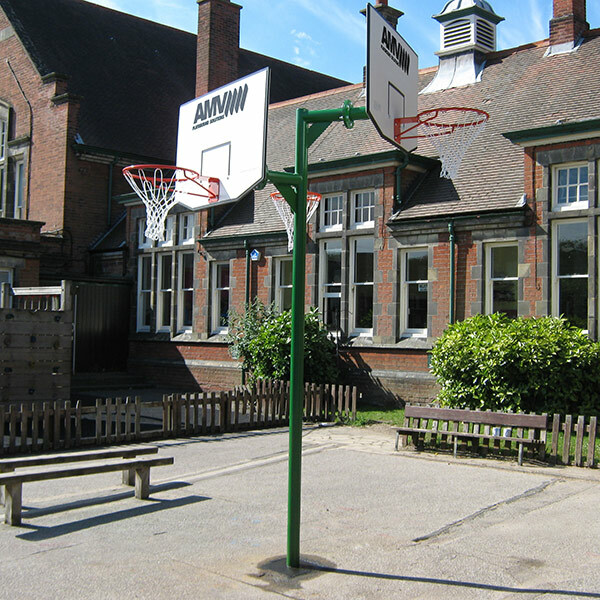 Long lasting high quality basketball posts. Flexible Heavy Duty design for a variety of sports activities. 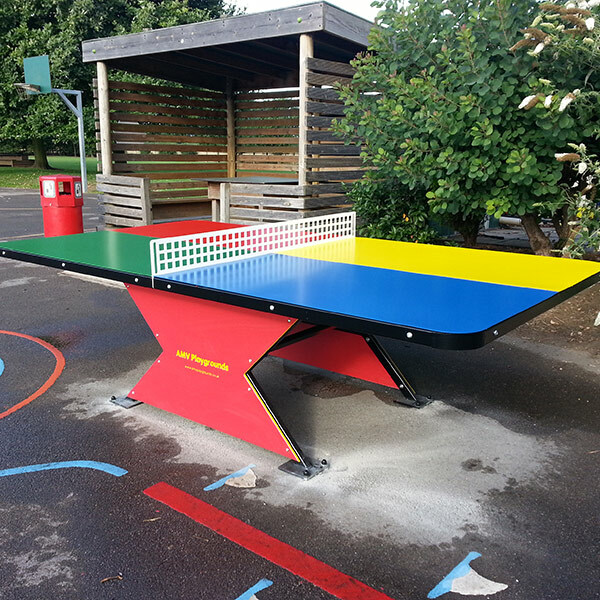 Wide range of stimulating game tops. 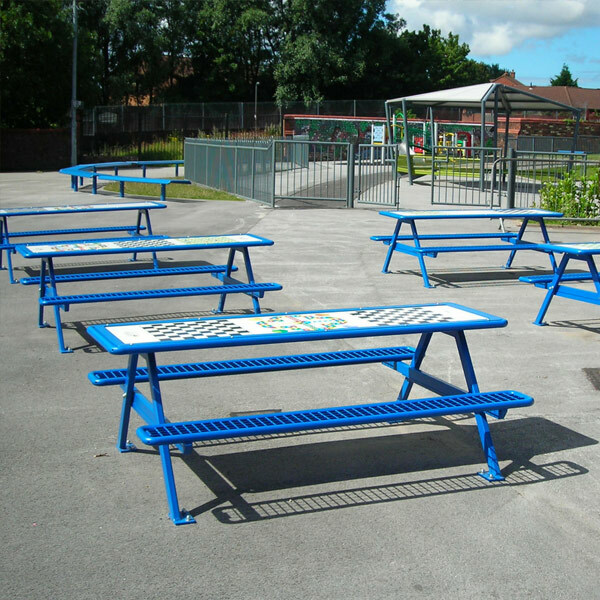 Ideal for shade during break time. 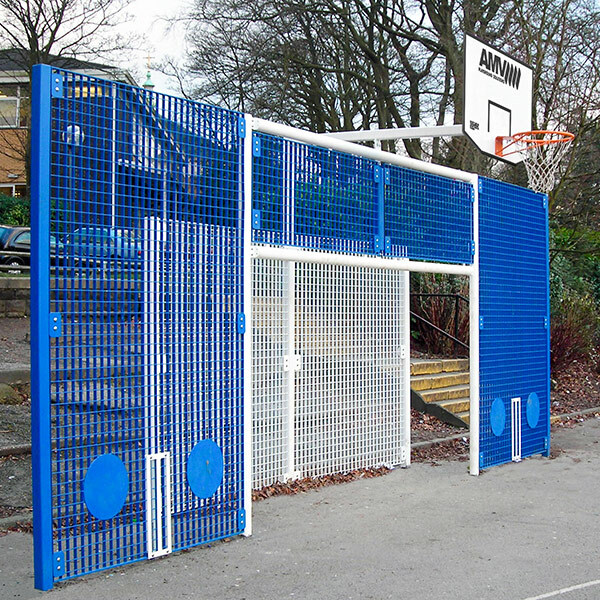 Tough see through panels ensure easy safeguarding. 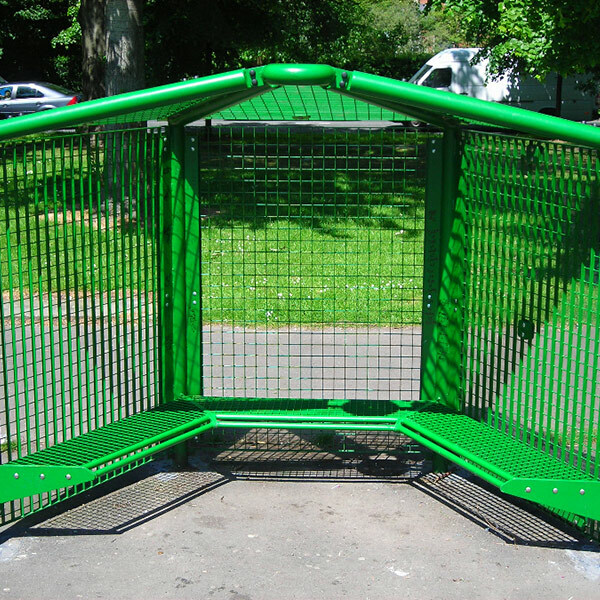 Bespoke items can be designed and manufactured to suit requirements. 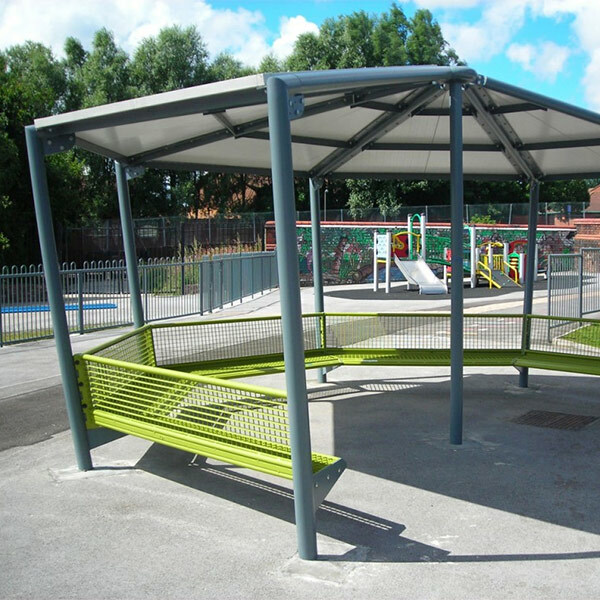 Robust shelter with seating for social interaction. 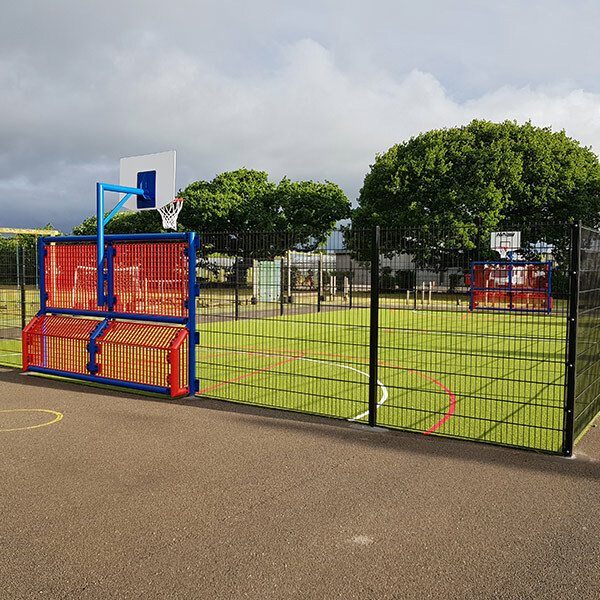 Enclosed mutli-sports area with heavy gauge mesh panels.